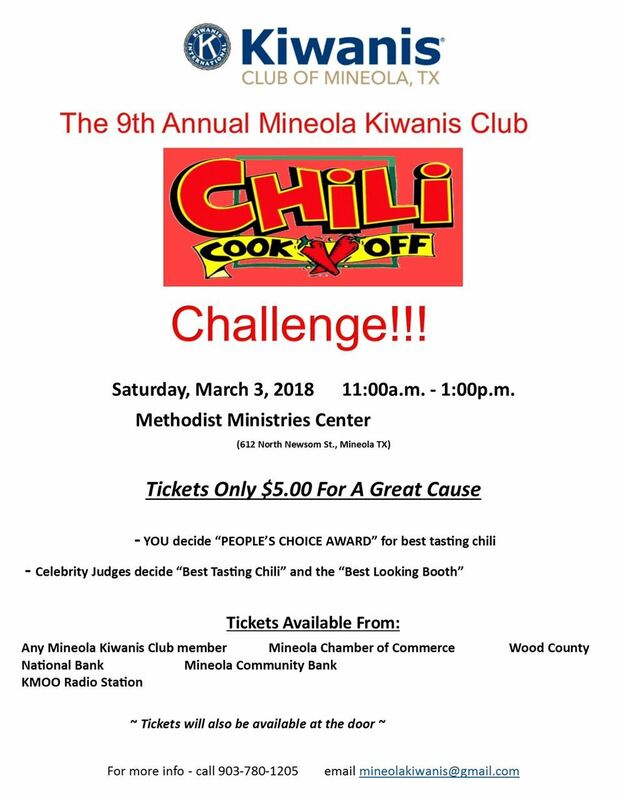 The Mineola Kiwanis are hosting a Chili Cook off on Saturday, March 3rd 2018 from 11:00am to 1:00pm at the Methodist Ministries Center. The tickets are only $5.00. See flyer below!